Originally this mashed potato lunch was supposed to be Curious George but it does not look like George to me. Maybe it is because of the color or that I forgot his ears. But I think it looks like a cute monkey. I served this meal to my husband. This entry was posted in Bento / Cute Food, Food and tagged animal. Bookmark the permalink. 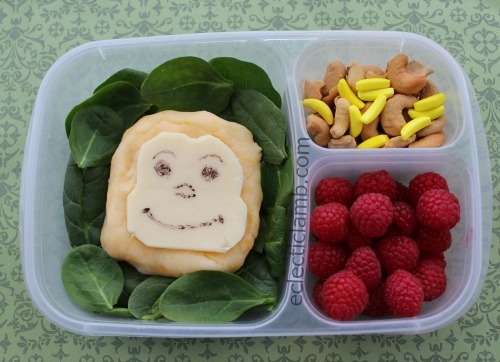 I love the way you are so creative with mashed potato – your monkey is ever so cute!